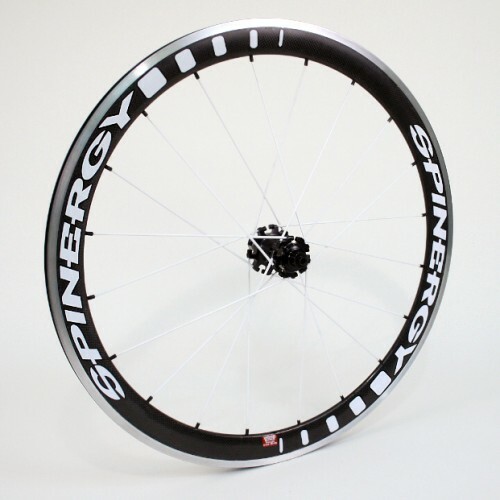 The mid deep section 3k carbon fibre rim (43mm) gives superb stiffness for ultimate acceleration and aero-dynamics. This particular model uses an aluminium braking surface giving the best stopping power. Cycling Weekly voted 9/10 on test!